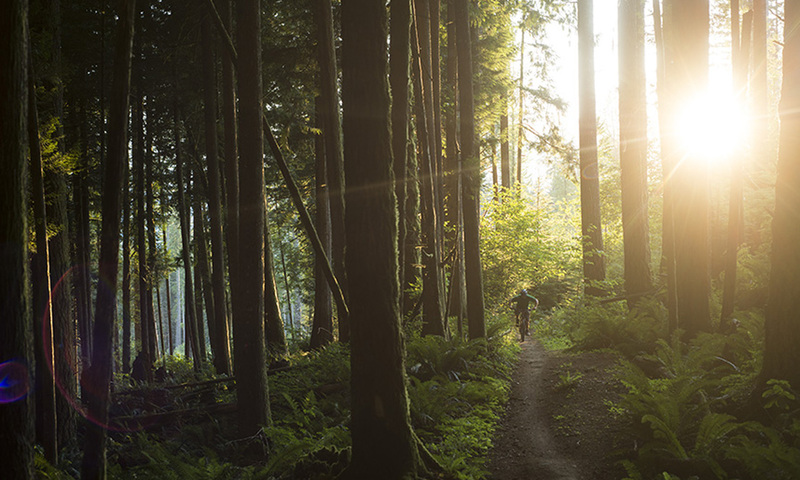 Read more from our feature on Mountain Biking B.C.’s South Coast and our feature on mountain biking Vancouver’s North Shore. For decades, most Coast Mountain-ers knew Squamish as little more than a roadside refueling station with a hick reputation and an ever-present odour of pulpy, wet farts. 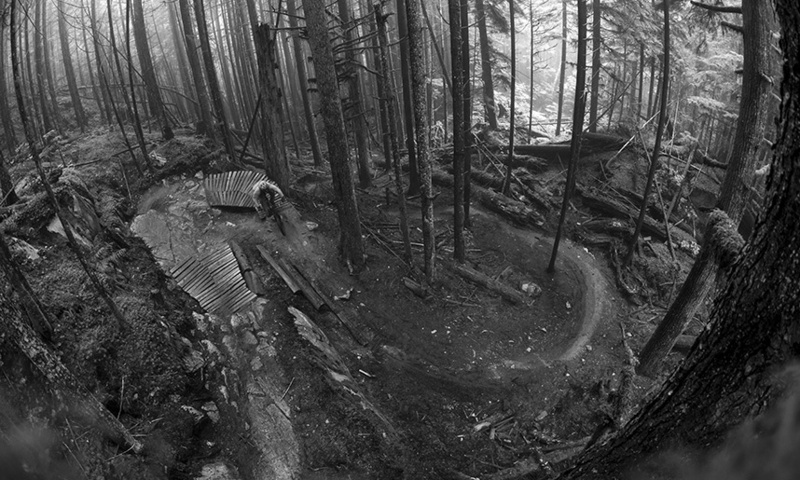 Set almost exactly halfway between Vancouver’s legendary North Shore and the much-hyped riding in Whistler, old-time Squamish locals endured decades of ridicule and general excommunication by the “snobs” living to the north and south. “Squamish was rough in the late 90s,” says Damian Kelly, a Whistler kid who moved south in 1993 at age 19 and “dirtbagged” for a few years before jumping into Squamish’s fledgling ‘rec-tech’ industry. He founded Bad Monkeys Design, a branding, strategy and design company that’s now been working with top outdoor brands for the past two decades. And some of those people were riding bikes. 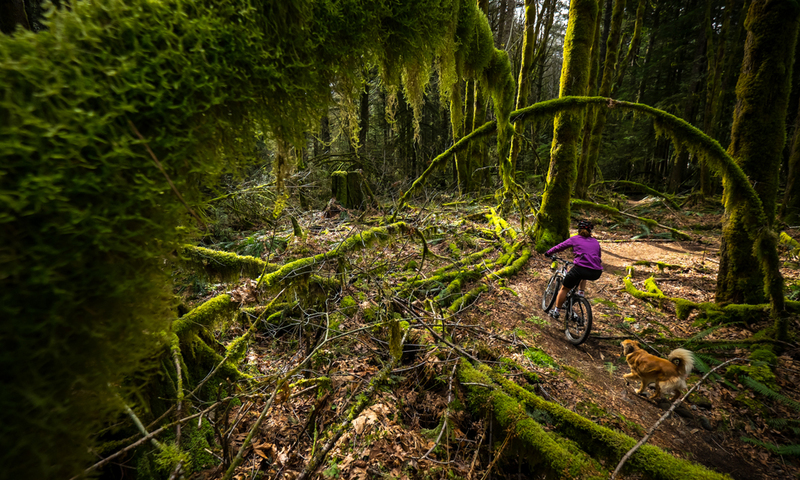 The Squamish Off-Road Cycling Association (SORCA) started in the early ’90s and quickly began pioneering trail access cooperation between bikers, builders, governments and other user groups. 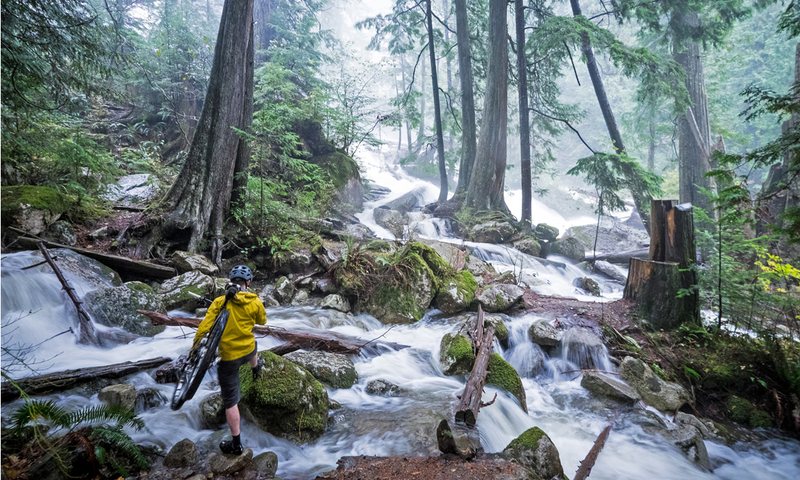 Over the next decade, core Whistler riders began migrating south for new frontiers and cheaper real estate. Simultaneously, bike technology continued evolving to create lighter, stronger machines perfect for the mellow climbs and burly rides of the area. 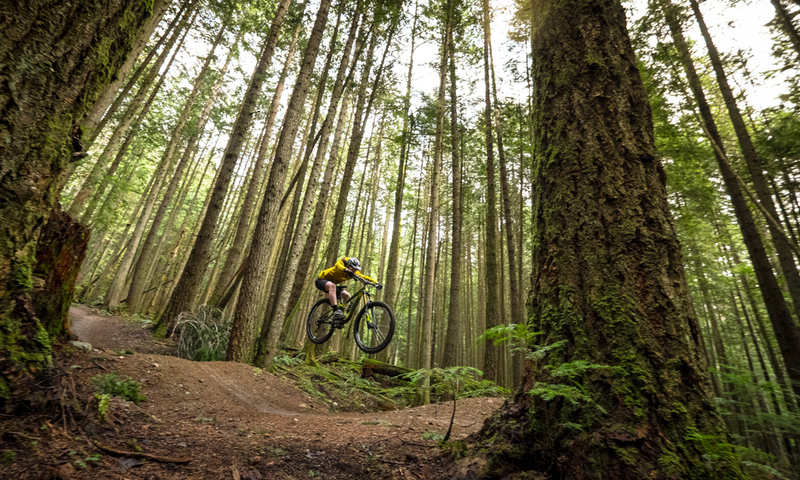 Mountain biking began driving Squamish’s rec-tech sector forward. 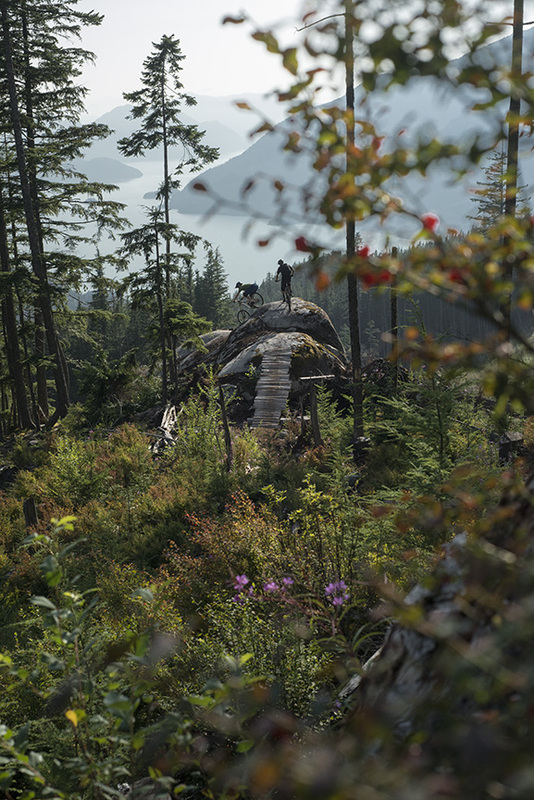 Ted Tempany was a Whistler DH rider with a talent for building bike trails when he moved south in 1999 and founded Dream Wizards, one of the most respected trail building teams in the world. Joyride pioneer Paddy Kaye had already relocated in 1997 and Christian Begin, director of the seminal freeride film Kranked, arrived in 2002. But the biggest groundswell occurred after the closure of the Woodfibre pulp mill in 2006. Once the air cleared and the Olympics were on the horizon, the little roadside gas-stop town began to boom. VentureWeb, an adventure and recreation-specific digital marketing agency, moved to town in 2006. Top-of-the-game mountain bike filmmakers Anthill Films set up shop in 2008, joining a host of other filmers, photographers, designers, writers and guides making a living across a number of different outdoor pursuits. In 2014, after a lengthy public process and some epically pedantic Facebook arguments, Squamish rebranded itself as “Hardwired for Adventure,” a nod to the rise of local rec-tech and a precursor for the arrival of Squamish’s best known tech business yet: Pinkbike. Since December 2014, the headquarters of mountain bike media superpower Pinkbike.com has been a quiet and unassuming office space down in the closest thing Squamish has to an arts district. Their space is dominated by a 41-inch flatscreen display of the world map, monitoring Pinkbike’s website traffic in real time with tiny exploding red and blue circle ‘hits’. England is blowing up, same with both coasts of North America. New Zealand pops suddenly, Brazil, Iceland, somewhere in Western Africa. Below, an info bar keeps a running tally: 70-94 hits per second from 100-121 countries. 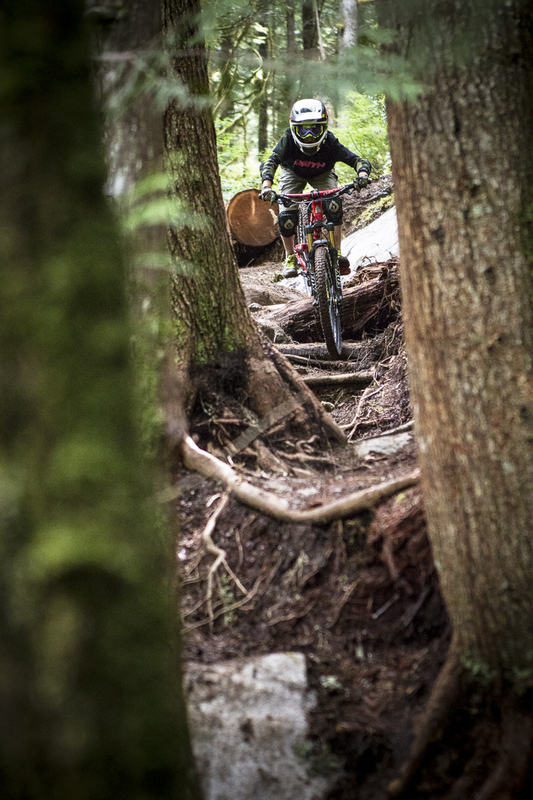 Pinkbike definitely puts the tech in Squamish rec-tech. 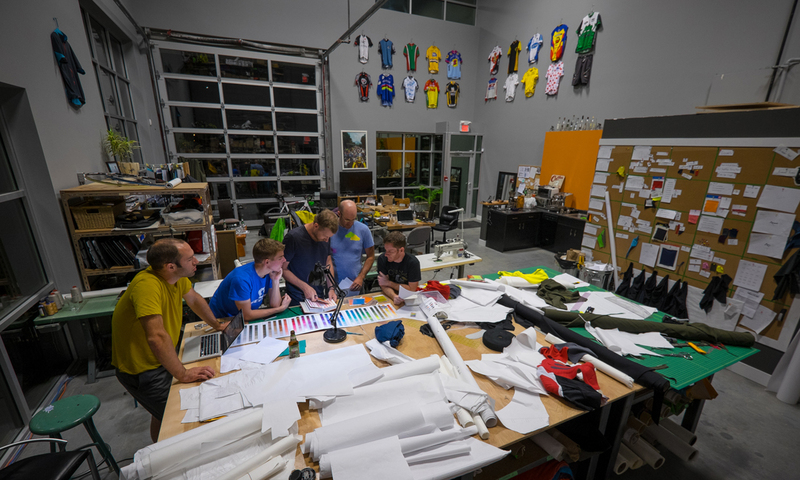 As of 2014, that hub includes industry-leading bike component engineers at OneUp Components, as well the world’s first cycling apparel company to use GORE-TEX® fabrics: 7mesh. 7mesh has found a comfortable home in the heart of the action. And so as sport, and the industry that supports it, continues to discover Squamish, that junky little gas-station town has suddenly become the popular prom queen of the Sea to Sky. She’s beautiful but she might have a little chain grease on her shins still, it was a long ride to get here.